Why I joined the Junior League of Boston- Haley McCraven’s Story - The Junior League of Boston, Inc.
– Haley McCraven is the Director-Elect of Strategic Management and Planning for the Junior League of Boston. 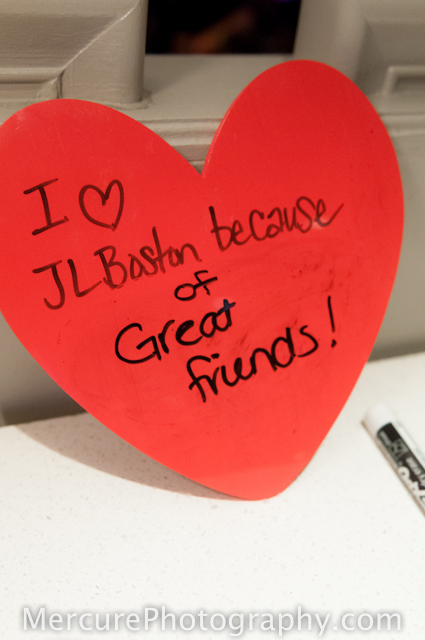 A JL Boston member’s take on what makes the organization great! In the fall of 2010, I had just moved to Boston to start a new job at a large law firm downtown. A few friends from college lived in the city but I felt my circle of friends was just too small and something was missing. Although I loved my job and was enjoying being a young twenty-something in the city, I missed having a volunteer outlet which was a part of life in high school and college. At the time I wasn’t really sure what I was looking for but I knew I wanted to find a group or team where I could develop both my personal and professional circles, build on my skill set, and provide opportunities to get involved in community projects. One day at lunch with a male co-worker, he recommended that I check out The Junior League of Boston. His girlfriend was a member and loved it! I quickly ran back to my desk and started researching the League. The more I learned, the more excited I got. I liken the feeling to looking up on Google a guy you meet online and realizing you’ve found a true catch! I submitted my application form right away and joined the New Member class of 2011. Many members cite the main reason they stay is because of the amazing friendships they’ve built – and I too can say I have made friends for life here – but I also stay because the League has, and continues to, broaden my horizons in ways neither my job nor my other social circles can. My time spent in the League is enriched by my relationships with the other members. The viewpoints they bring to the table, the life experiences they share, the social circles they create, and the support they offer is invaluable. Year after year, the relationships I made my first year grow and I add new friends to my circle. Each new friend brings a new view of the world for which I am grateful. Like during any relationship, hobby, or passion, there are times when I thought to myself, “Can I keep up my membership with all I have on my plate right now?” When I have those moments I look around at my life and realize how much I have in it thanks to the women I have met through the League and the support they have offered. I often breathe a long sigh and think back to the girl I was in the Fall of 2010 and know that joining the League changed my life for the better and that I’ll always find a way to make it work in my life. Interested in joining? Enrollment ends June 1st! Find out more at our prospective member page.